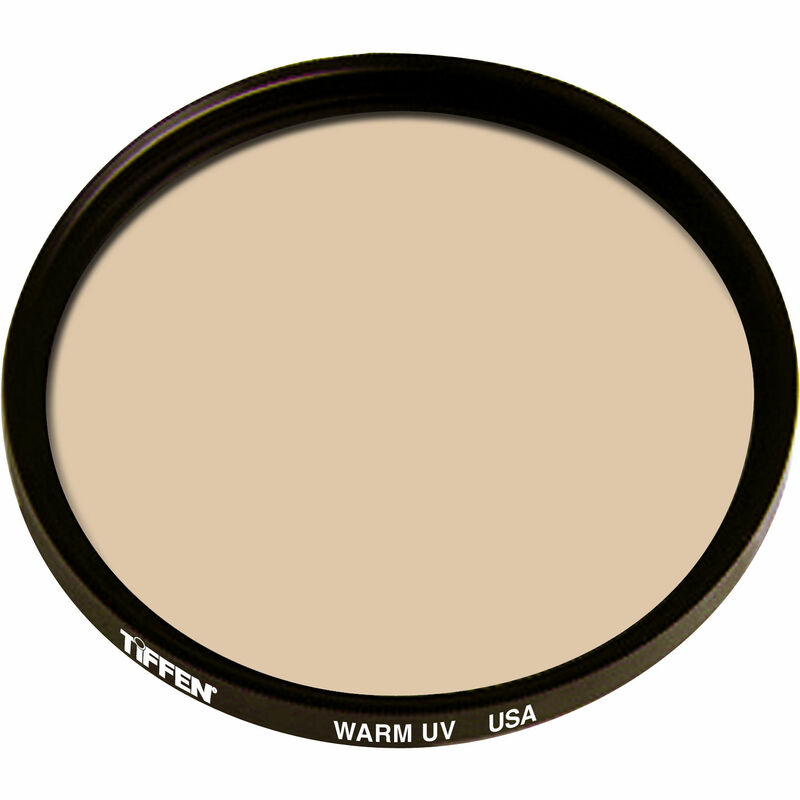 The Tiffen 55mm Warm UV Filter is a general use, clear filter that helps to absorb ultraviolet light and reduce the bluish cast of daylight. This filter is especially useful when photographing at high altitudes or around bodies of water. No additional contrast is provided, allowing you to pair this filter with others. This filter also provides the effects of an 812 filter for adding more warmth to imagery in order to create more pleasing skin tones. It counters the bluish color casts of electronic flash, overly shadowed conditions, and other overwhelming cool colorations. Provides more warmth to images and helps to produce pleasing skin tones. Box Dimensions (LxWxH) 3.4 x 2.9 x 0.6"
55mm Warm UV Filter is rated 5.0 out of 5 by 1. Rated 5 out of 5 by Pavel from Great protection Great for simple lens protection. Well built, quality product.